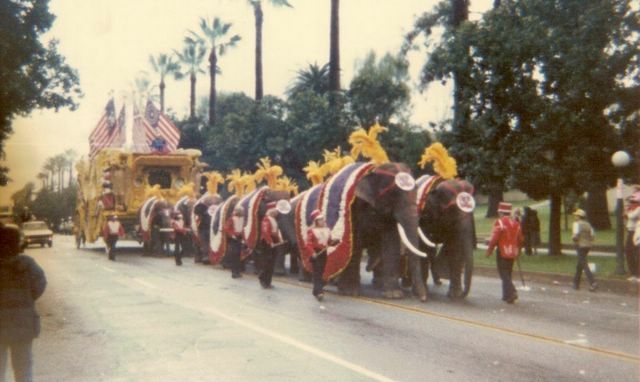 Photo of ‘Vargas herd’ elephants in the Rose Bowl parade. From the Buckles Blog. There’s a piece in the Guardian about the massive slaughter of African elephants to feed a seemingly insatiable ivory export market in East Asia (but also in the West…). The story quotes Jane Goodall, who is advocating for a worldwide ban on ivory sales, as the population of wild elephants plummets from poaching, and tusks are smuggled in containers of floor tiles, sacks of dried fish, and diplomatic pouches.